A fresh invigorating holiday candle- not old fashioned, and not overpowering. We like to think that the Yeti’s friends are little elves that help him do things he’s too bumbly to do- like decorate a Christmas tree or hang mistletoe. Notes of white pine, clove buds, Siberian fir and mistletoe berries. 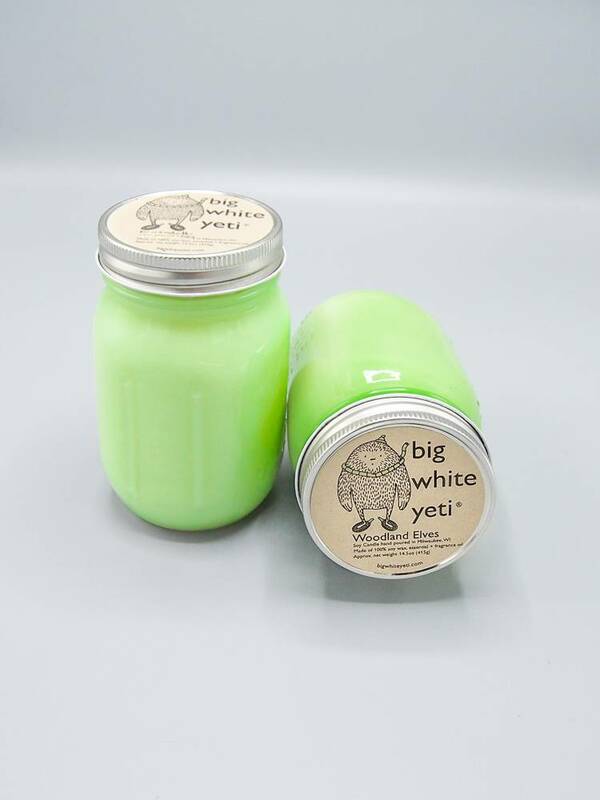 Each mason jar candle holds about 15 ounces of wax. This candle burns so cleanly that after it's finishing (about 80 hours! ), simply wash it out with warm, soapy water and use the jar as a beautiful addition to any room in your home. Our candles are hand poured and contains 100% soy wax (no paraffin or palm additives), a cotton wick, and essential and fragrance oils.